Just when you think that Microsoft’s glory days are gone, the Redmond based tech giant reminds the world why it still dominates the tech industry; but it turns the world on its ear. That is exactly what Microsoft is doing to home automation with its new baby, the Internet of Things (IoT). 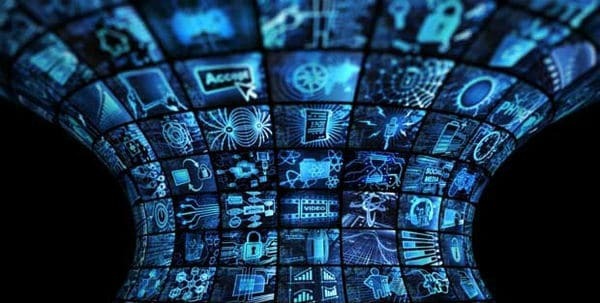 The Internet of Things (IoT) is the inter-networking of physical devices and other items embedded with electronics, software, sensors, actuators, and network connectivity which enable these objects to collect and exchange data. In simpler terms, this means that the IoT is a concept in which all of your gadgets talk to each other to make your life a lot easier. Now, until recently, Microsoft has centered its IoT direction towards business and industry; but now the boys at Redmond have decided to go big after the consumer market. Think about everything in your house that is a smart device. Now add to that everything in your house that the home owner can retrofit into a smart device. Now picture them all working in tandem together to ensure that your home practically runs itself. I think you are starting to see the big picture. Most home automation systems started up as home security companies or as start ups directly aimed at home automation. They see home automation through their specialty fields. However, none of them have the resources or the technology at their fingertips quite the way that Microsoft does. Their plans are to integrate Windows 10 and future operating system platforms with your home to create a seamless IoT system for your home. Sound crazy? Sound over the top? Just think of how many things you rely on from your computer. Many users already have their entire music library stored there. More than ever before, users rely on systems like Cortana to act as a digital personal assistant. Microsoft is not reinventing the wheel. Many critics have mentioned the fact that big corporate giants are slow to adapt to new technologies and new products. That could be true in this case. Except, Microsoft has no real intentions of leading the direction that IoT home automation is heading. For the most part, Microsoft is quite willing to partner with other companies to let IoT go its own way. Keeping innovation in the hands of the small companies and entrepreneurs. They are not interested in developing every aspect of IoT. They want to be the software the future is written in. Already, the boys in Redmond have tapped tech companies to experiment and turn IoT into a home automation reality. Chai Energy, which identifies energy-saving opportunities based on your home’s actual energy consumption, and recommends rebates, incentive, and programs, to help you save on your utility bill. Heatworks, a company that builds tankless water heaters that will provide homes with purer, endless hot water on demand. Phone app control offers, even more, ease of access. And Sentri, a device with HD cameras and built-in sensors track the home’s vital stats and trends, allowing users to track temperature, humidity, air quality, weather and more. Microsoft also has many others that it is bringing into the fray. By utilizing Windows and Blackberry, programmers and developers have an easy and well-known machine language. This means that users can expect many appliances and other devices to take advantage of this. Easily within the next year or so, advertisers might market their home appliances or devices as IoT compatible. a picture of the not too distant future? The world is ever changing. One never quite knows where the next big direction in markets such as the home automation market will go in. However, the innovators and the companies that quickly adapt to emerging technologies who will lead the markets in Home Automation. Years after Bill Gates first sold IBM on his DOS software, Microsoft still leads innovation into the tech age.